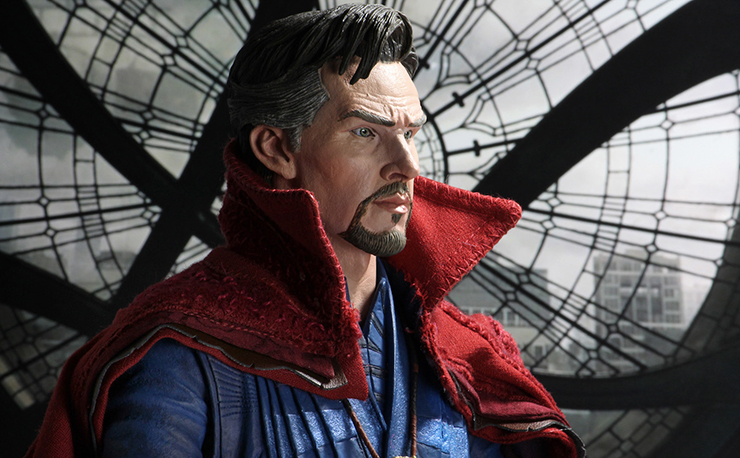 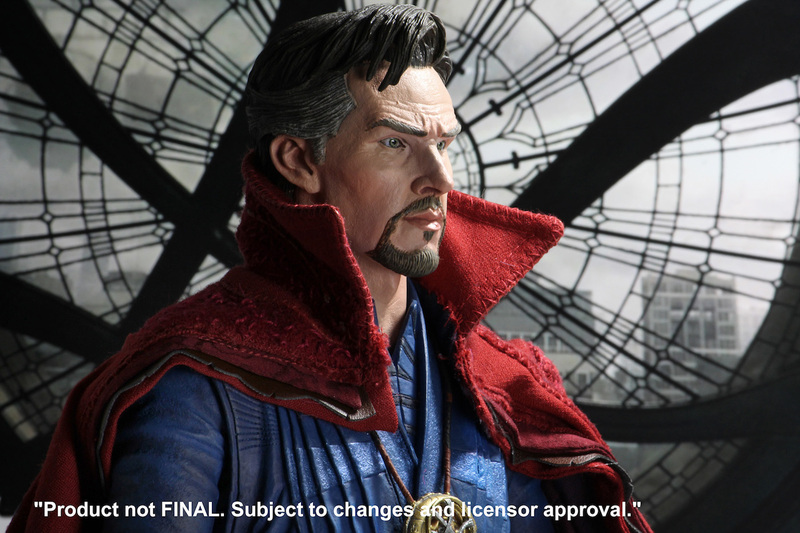 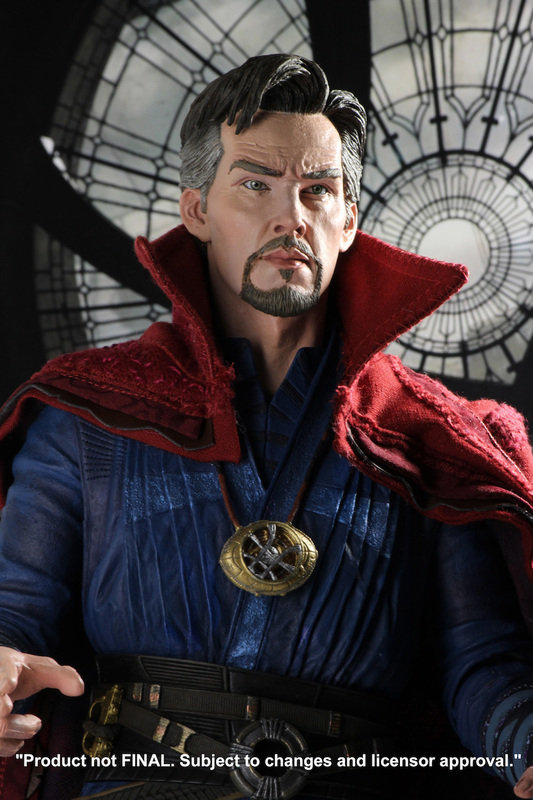 With Doctor Strange hitting the shelves on DVD and Blu-ray today, and his upcoming appearance in Thor: Ragnarok later this year, now’s the perfect time to get your hands on this sweet-looking 1:4 scale action figure based on Benedict Cumberbatch’s portrayal of Stephen Strange courtesy of NECA. 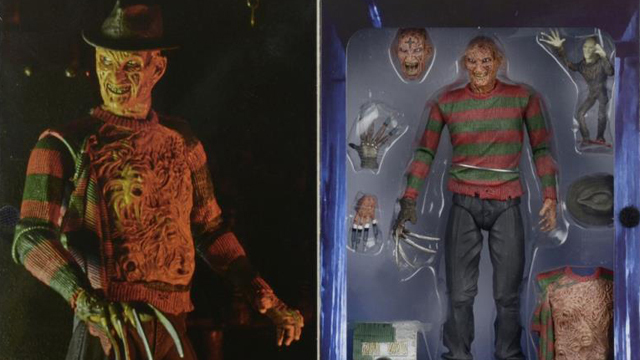 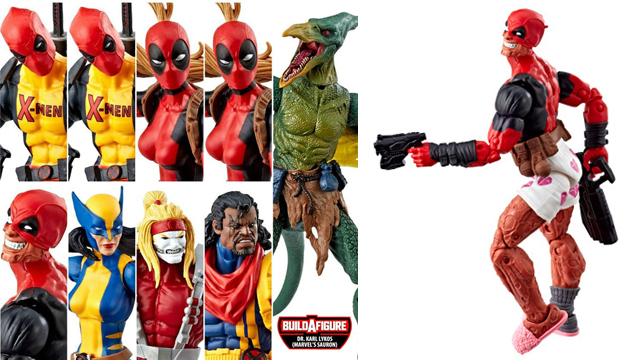 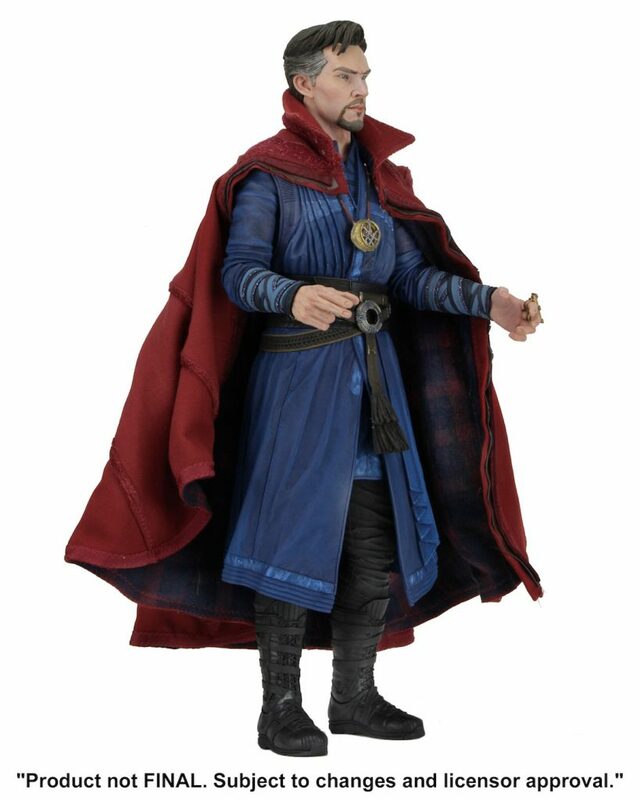 This quarter scale action figure based on the good doctor comes with 25 points of articulation and alternate hands for any spellcasting poses you have in mind, sling ring and, of course, the infamous Eye of Agamotto. 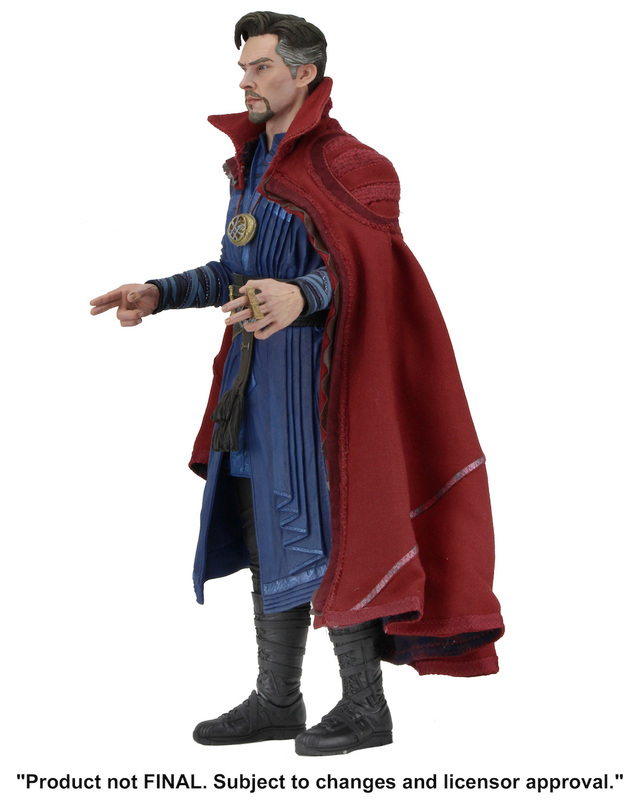 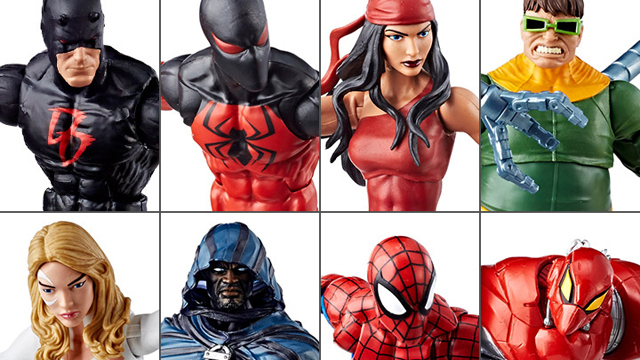 Ultra-detailed to match the likeness of Benedict Cumberbatch himself, and draped in a fabric Cloak of Levitation, this is the perfect figure for collectors and Doctor Strange fans alike. 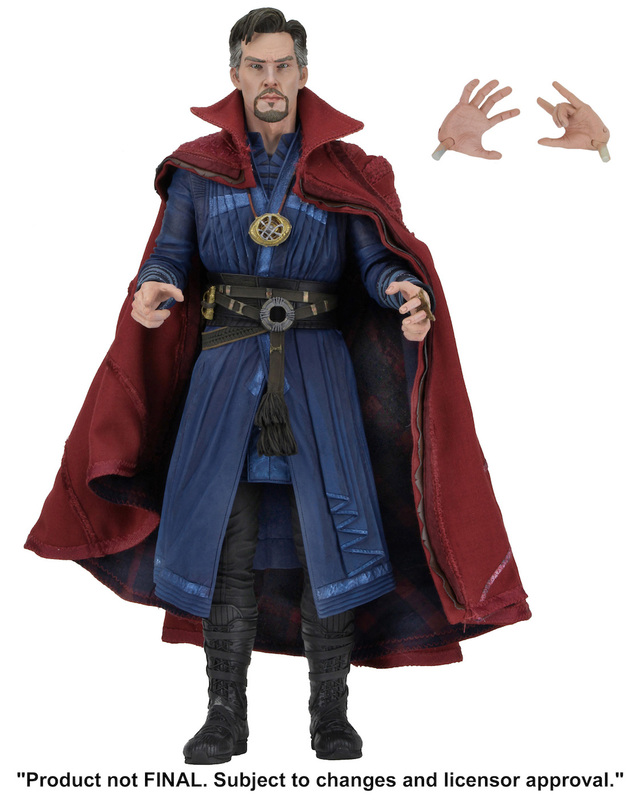 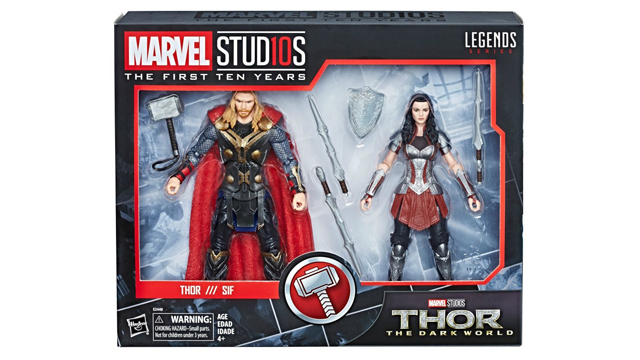 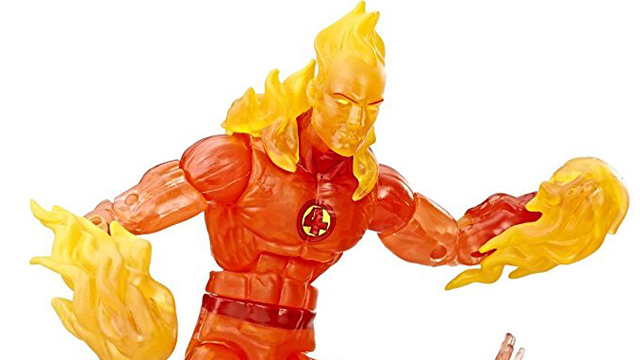 Set to release in July of this year, you can pre-order this Doctor Strange figure now at Entertainment Earth.